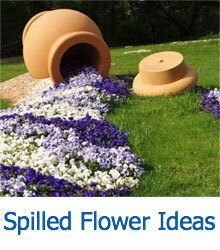 Interested in decorating your home and garden? 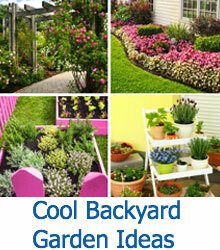 Here you'll find some Topiary Planter Ideas that will add a neat ornamental look to your property. Topiaries are a horticultural art form that involves training live perennial plants into clearly defined shapes, typically geometric, but sometimes in more fantastic shapes including animals. As living sculptures, topiaries are typically used as decorative elements, either in planters or growing from the ground in planting beds. When we think of topiary sculptures, we think of grand gardens at castles or hotels, where ornamental gardeners spend their days trimming each topiary to be absolutely perfect. Of course, you can find topiaries anywhere, or even grow them yourself. 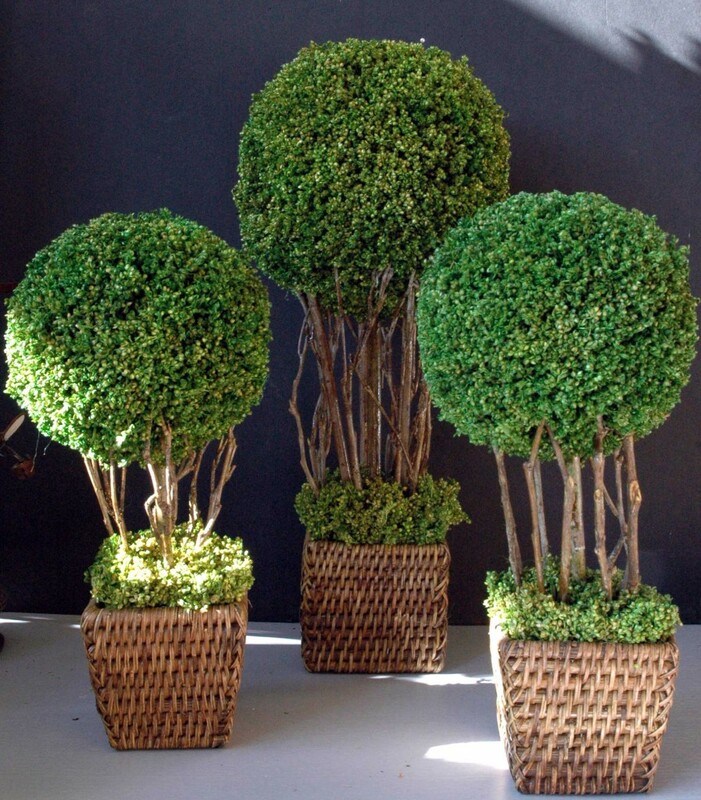 All it requires is a bit of forethought and patience to create a simple geometric topiary. 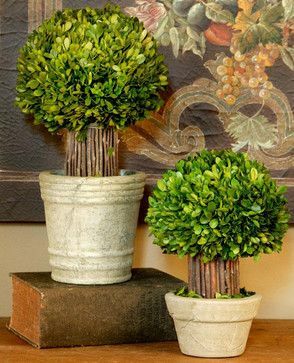 We’ve scoured the internet to find some of our favorite ways to create topiary displays on patios, indoors, or even just out in your garden, keeping them contained in large planters. 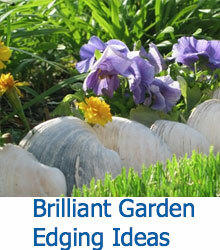 So let’s take a good look at all the ways you can design your topiary and get inspired! 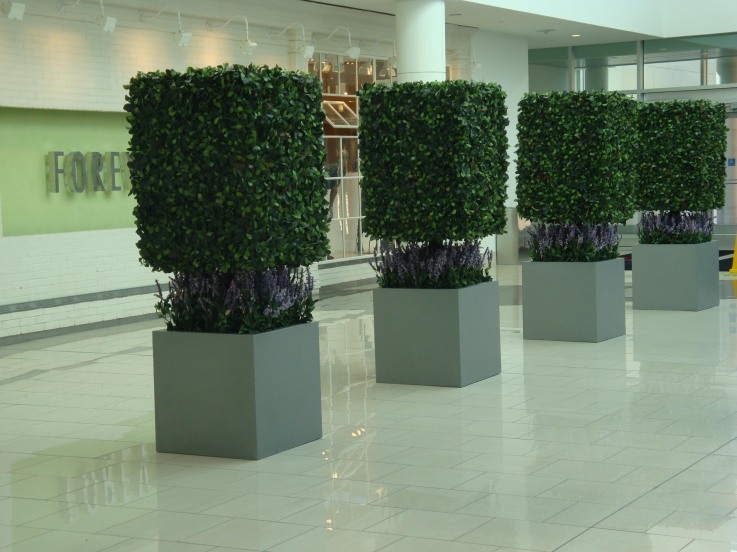 These primly trimmed topiary trees would look just as fantastic along your walkway or in your garden as they do in the center of this mall hallway. Adding lavender to the bottom of each display adds a wealth of color and fragrance to the display. The dichotomy of this display lies with the elegant spirals of branches pointing to the sky and the rustic, aged wooden planters that hold the plant structures. 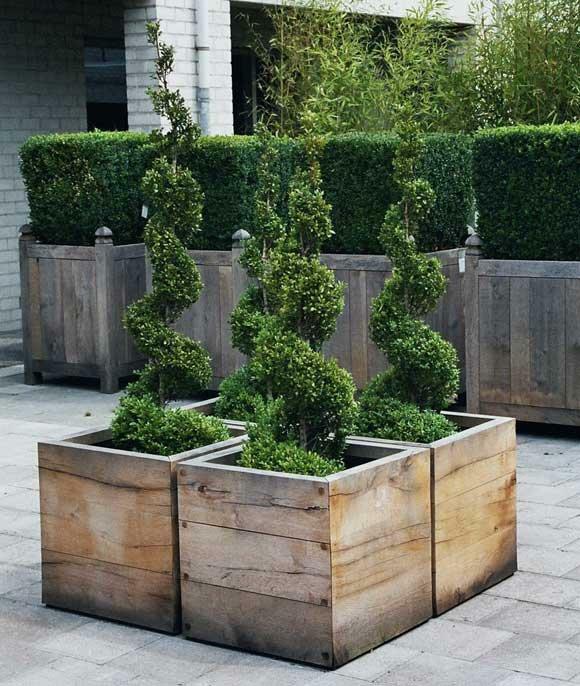 Allowing the natural wood grain to show is a great design choice that will allow this topiary to look great in any style garden. 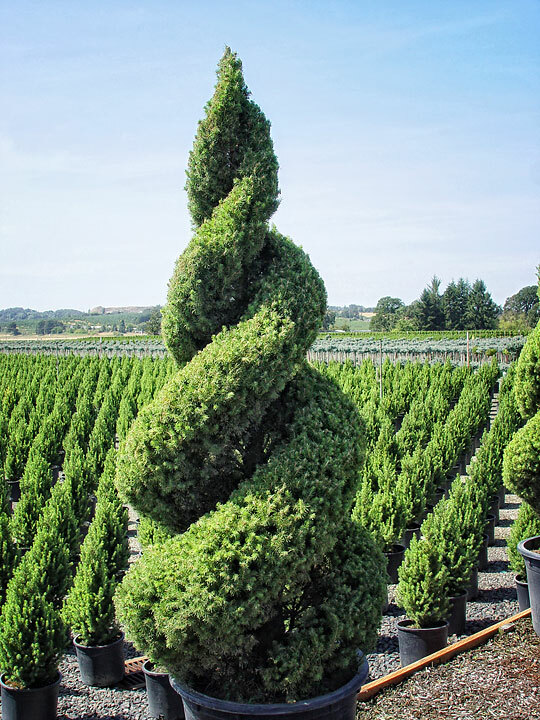 This double spiral topiary takes on the look of a tight helix, and comes to a point where the two spirals meet. This is a rather large sculpture that does best in a very large planter, which means it’s a heavy piece that you won’t want to be moving around very often. 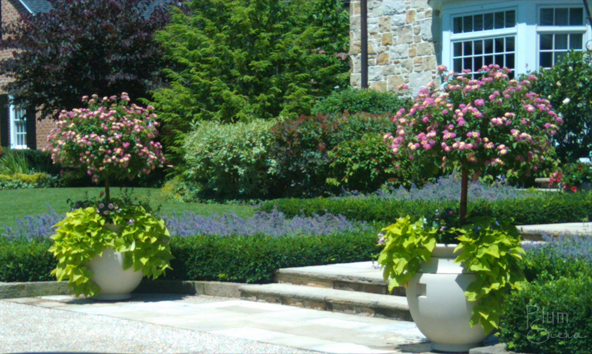 These taller trees are trimmed into a circle at the top, and rise from small square black planters filled with trailing greenery and vibrantly colored pansy flowers. 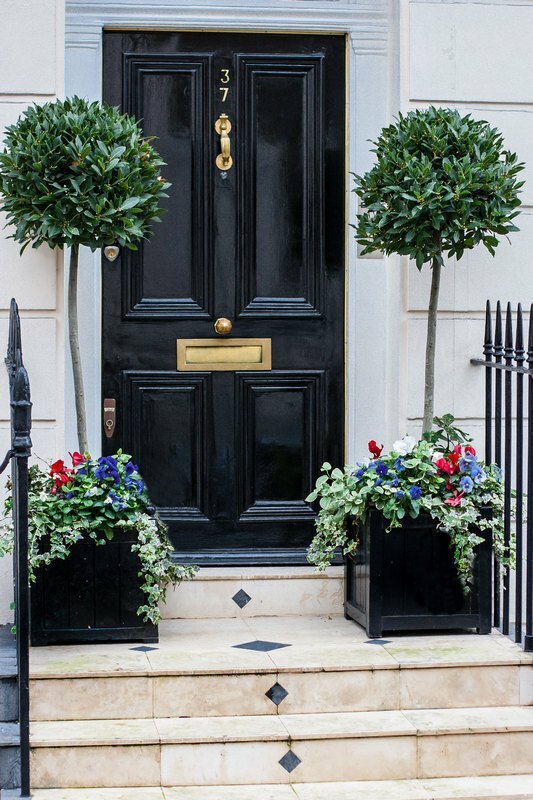 With one on either side of the door, the pair make for a lovely addition to a front entrance and up the curb appeal of this very small street-side home. 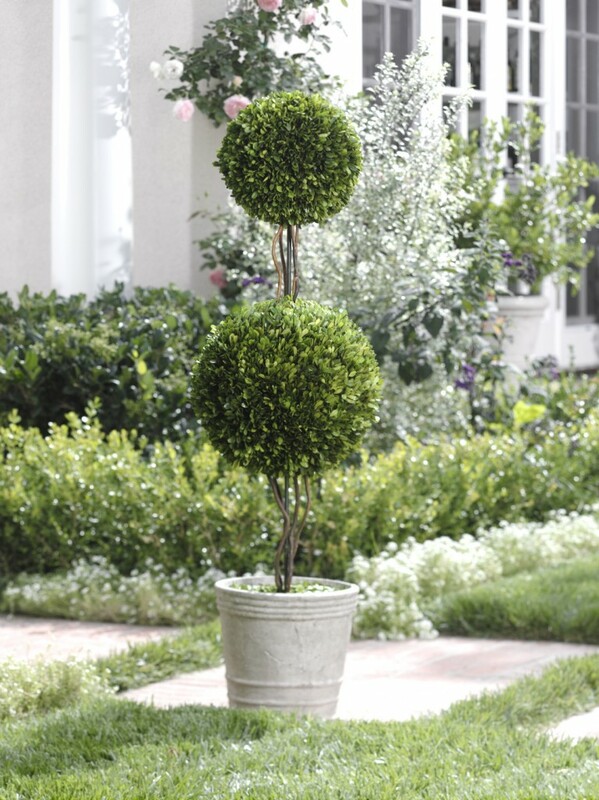 This matching set of four topiaries opts not to have an exposed trunk and instead look as though the circular branches are growing naturally from the planter. 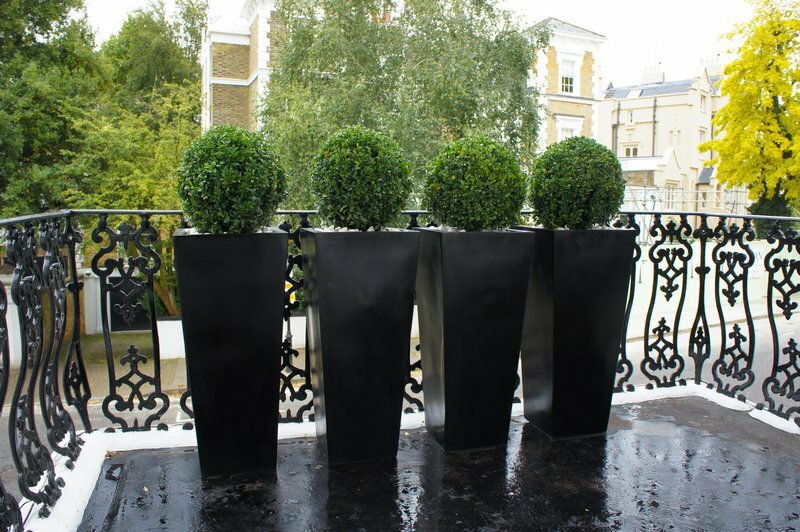 The taller planters give the small balls of greenery the extra height they need to really stand out amongst your other garden plants. This two-tiered topiary emerges from a tall black, ornate urn. The bottom tier is larger than the top, and trimmed into a circle. The top tier is more bowl shaped. 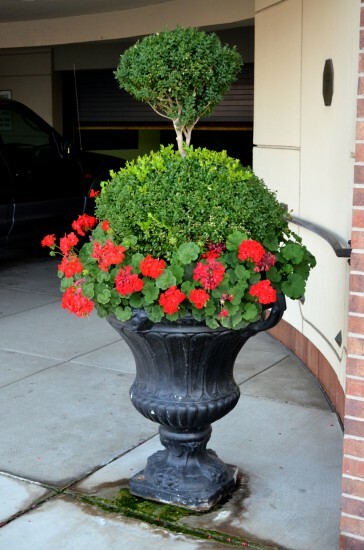 To add color, bright red geraniums were planted around the edges of the tree, hiding the trunk of the plant. 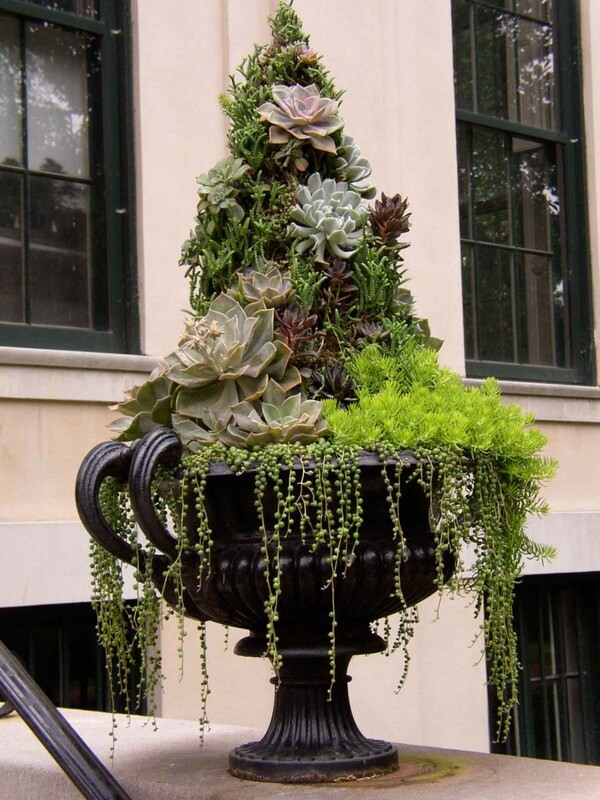 While not a traditional topiary, which are created from trees, this is truly a living sculpture created from various species of succulents, creating a topiary rich in texture, color, and size. The whole of the sculpture is housed in an ornate urn with two sets of handles. This trio of large circular topiary are shaped out of a number of much smaller plants, which gives it the appearance of many small trees merging into a single entity shaped like an orb. At the base of each topiary structure are thick ground cover plants rising from the wicker planters. Most of the topiaries we tend to see are strictly trees, with flowers used as ground cover or as ornamentation around the base of the tree. 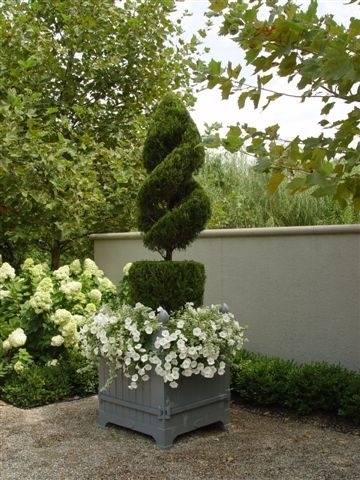 This display, however, features flowering topiary trees with trailing greenery flowing over the sides of the white urn planters. These are another example of multi-trunk topiaries, featuring many small, thin trunks merging into the circular top of the plant. Unlike the previous example, however, these trunks have been neatly grown together. The shorter plants are more suited for indoor decor. This tall ornamental tree features three spindly trunks rising into two circular tiers. The sculpture is housed in a small, subtly ornamented ceramic planter with a light green, sparce ground cover near the base of the plant. This is a sculpture that will look great indoors or outdoors. This is another beautiful example of a tiered topiary, featuring two differently shaped tiers; one is a circular formation with a flat top, the other a double spiral design that comes to a point. The base of the plant is shrouded by a wealth of trailing white flowers. The planter is wooden, painted gray. Our final topiary display is a much more unique and time-consuming display that would be difficult for many gardeners to recreate. 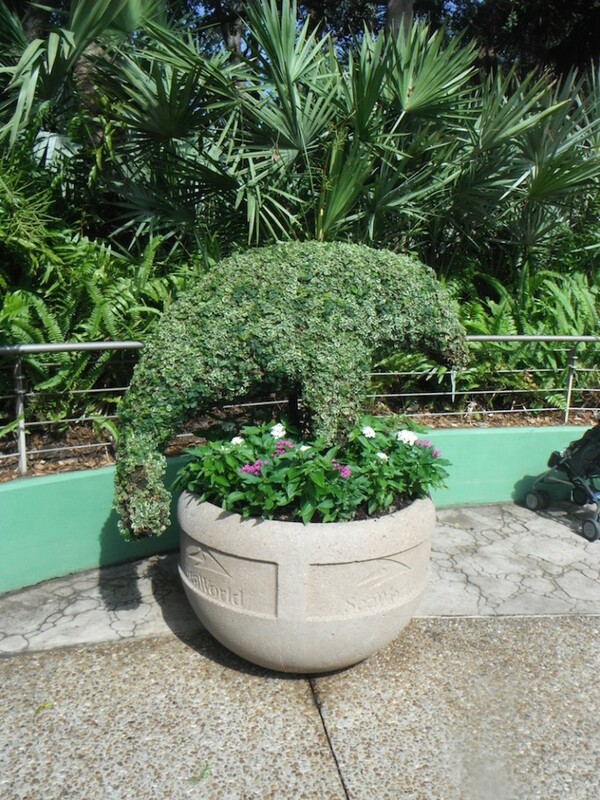 This lovely topiary was spotted in SeaWorld and features a manatee-shaped topiary with the base covered in pink and white flowers and plenty of greenery.